Maintain a positive mind and body. I love being outside and competing. 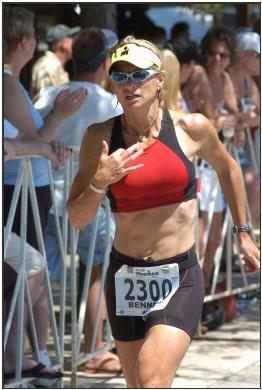 Running a 3:27 Marathon after finishing the 2.4 Swim and the112 Bike Legs in an Ironman Triathlon. I enjoy meeting and encouraging people to reach their goals. Helping a woman runner stay with me to qualify for the Boston Marathon. I raise money for the Childrens Hospital Child Care Fund. The Fund helps families pay their child care bills.